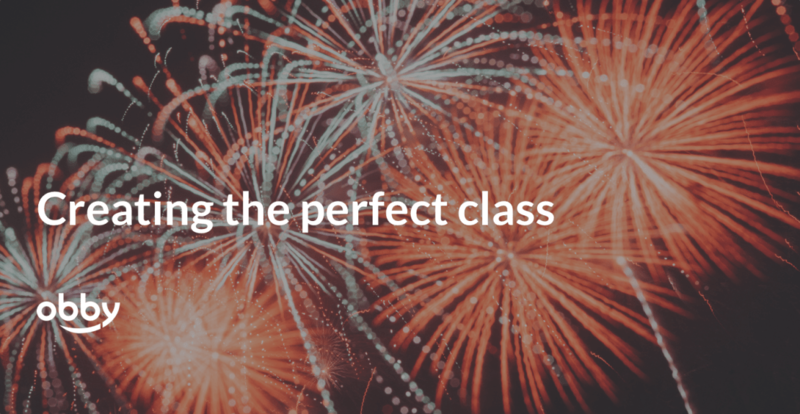 We have created a simple checklist for you to be on-top of every single class, or course, you teach! Check it out here link. Make sure you have spent time thinking and working on your online profile. Whether this be an event listing on your own site or on an external provider, it is extremely important that what you are advertising is up to date, accurate and most importantly clear to the customer. Build your own checklist for the day before and the day of the class. It is really helpful to make sure that each class is consistent and you are delivering a top-notch service each and every time, a checklist is the perfect way to do that. If you don't already have one, we have created one for you here. Even if it is just a little table at the entrance with a plant or a sign, make sure that either you (or your assistant if you have one) are the first person the customer talks to as they walk in the door. Show them where to put their bag, hang their coat and where the toilets are - its minor, but makes people instantly feel comfortable. Have your table / studio prepared in advance with all the materials layed out. There is nothing more exciting than seeing a table full of wool, needles and beautiful instruction booklets ahead of a knitting class and there is nothing worse than having to wait for 5 minutes in the middle of a session as you are handed round the materials you need - for a customer that is wasted time. When it comes to learning people love asking questions and collaborating / supporting one another, it’s why the experience is also social and fun too! From the very outset, make sure to let your customers know that you encourage questions and that everyone is on the same learning journey. Have actionable next steps and materials that can be taken away from the class. Customers love being able to go away and practice their skills, only you can really enable them to do that. It is quick, cheap and easy to prepare small (take-home) packs for them to use to continue their learning journey. Note: if you do create take-home packs, please remember to include them in the upfront price, not ask for extra payment in class. For more on pricing see our guide on Getting started: How to get into teaching. Whilst your customers are learning, you should be learning too. There is nothing better than hearing positive (and negative) feedback about your workshop, as it will help you double down on the successful parts of fix the parts that are not working so well. Try to always send some form of communication after your class rather than gathering feedback in the class. Customers can feel uncomfortable about leaving constructive feedback directly with you, so whilst you might get lots of feedback in person, it won’t always be honest. Most importantly, take the time to read the feedback, look for patterns and then make the changes, it will not be a waste of time, promise! We are still working on our next part of this guide, Part 4: Long term: How to grow your teaching business. In the meantime, check out out the full Obby Guide to building a successful teaching business. Or, if you want to dive straight in and apply to become an Obby teacher, you can do so right here.